I am intrigued by the way the scanlation versions of the Manga had fan translations. I appreciate that these made them more quickly available to english speaking audiences but I wonder if any fans took the translation rather liberally? 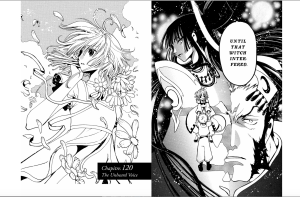 Did you compare the scanlation versions to the official translations? I wonder if any fans expressed their own interpretations of the comics in their translations. If they had if would be an interesting example of reader experience with the series. That’s a really interesting comment! I never checked translations against each other. I should! And this is not just an issue with scanlated manga. 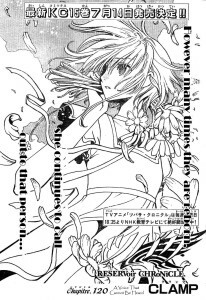 I remember a number of years ago, the publisher Tokyopop did a licensed translation of the series Wish by Clamp. Some characters were referred to by gender-neutral pronouns in Japanese, and they decided to change these to gender-specific pronouns in the translation. While they explained their decision in the introduction, it still had a huge effect on the reading of the series and the characters.